You haven’t had pizza until you’ve had it downtown-style. 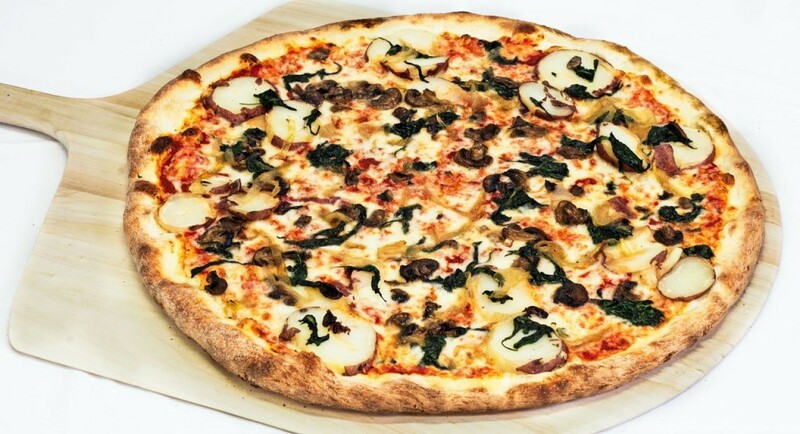 Pop Up Pizza is now offering pizza delivery in 89104 straight from the Plaza Hotel to your door. We’re open 11am-2am daily, and we even have delicious vegan options on our menu. At Pop Up Pizza, we’ve created topping combinations that you’ll never forget. We’ve got the classics, plus roasted eggplant, red potatoes, artichoke, caramelized onions, and more. We also serve up some of the only animal-free pies in the city, making us one of the few restaurants that offers vegan pizza in Las Vegas. Buy nine slices and get the tenth free, and don’t forget to like us on Facebook for exclusive deals and coupons!